Before you embark on your journey, it's important to check your vehicle is winter-ready. The weather at this time of year is changeable and I'd recommend checking your car's oil, water levels, screen wash, anti-freeze, tyre pressure and oil levels. We filled up with petrol before our trip too. If you're travelling to a European Christmas Market, you can purchase one-off European Car Insurance. If you're driving in the UK or abroad, I would urge you to take our decent breakdown cover too for complete peace of mind. We're driving to Holland next year and I've already started reading up on driving regulations over there. You'll find lots of up-to-date advice about driving abroad over on Gov.uk/Foreign-Travel-Advice and the European Commission. We bought a new car last month ( a Dacia Logan - we love it) and it has USB sockets in both the front and back. For a short 2 hour journey, the kids were more than happy with the games on their tablets to keep them entertained. Edinburgh is such an easy city to reach - it is just straight up the A1 and very well signposted. There's always lots of excitement as you cross the border from England to Scotland too. 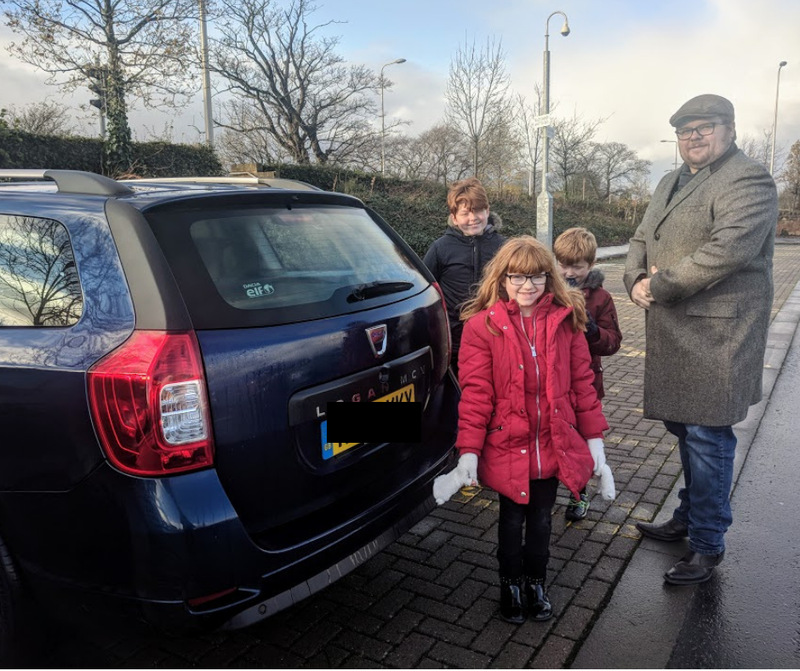 We travelled from Cramlington, Northumberland and left and around 9:20am on Sunday - it took us just under 2 hours to reach Wallyford Park and Ride and was then a further 10 minutes into the city centre by train. Edinburgh City Centre is a one-way ring road and there are multiple bus lanes and trams to navigate too. 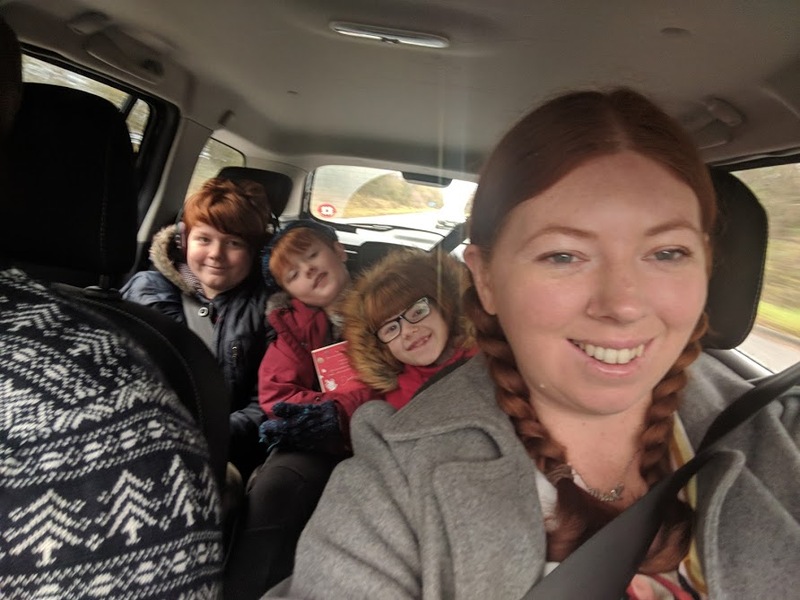 I know from past experience that it can be tricky to get around and congested so during this trip, we decided to use a park and ride and I really wish we had used this service in the past as it was so easy. 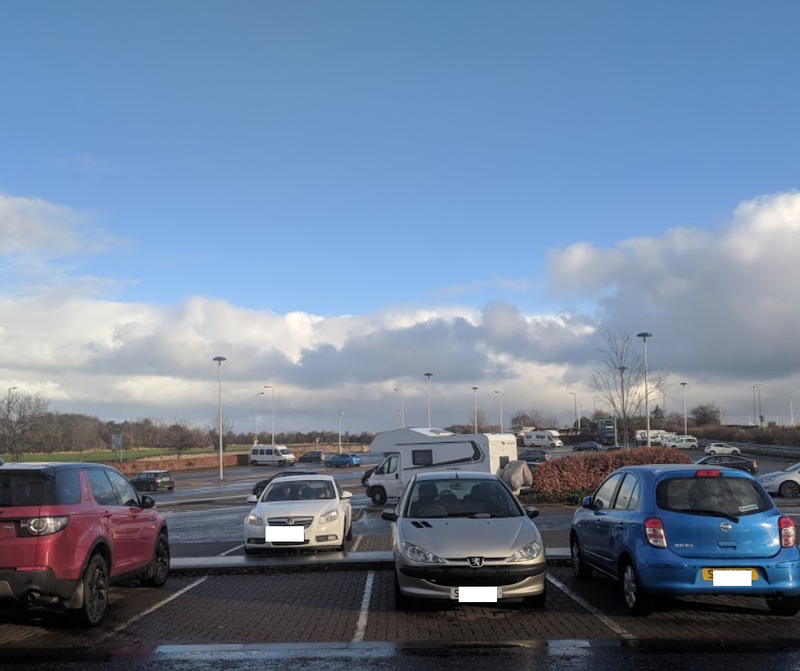 We used Wallyford Park and Ride which is super easy to find (just off A1), free to park and is served by regular buses and trains into the city centre. If you're visiting on a Sunday, make sure you check train and bus times before you leave and plan your journey around these as they aren't so regular. We visited on a peak weekend and I was worried there wouldn't be any spaces but there were only a few cars using this service. Park and ride was completely hassle-free and I could 100% recommend. If you'd really like to drive into the city centre, a reader recommended pre-booking a city centre space before you travel and mentioned that this was a hassle-free and easy-to-use service. There is so much to do for kids and families here. 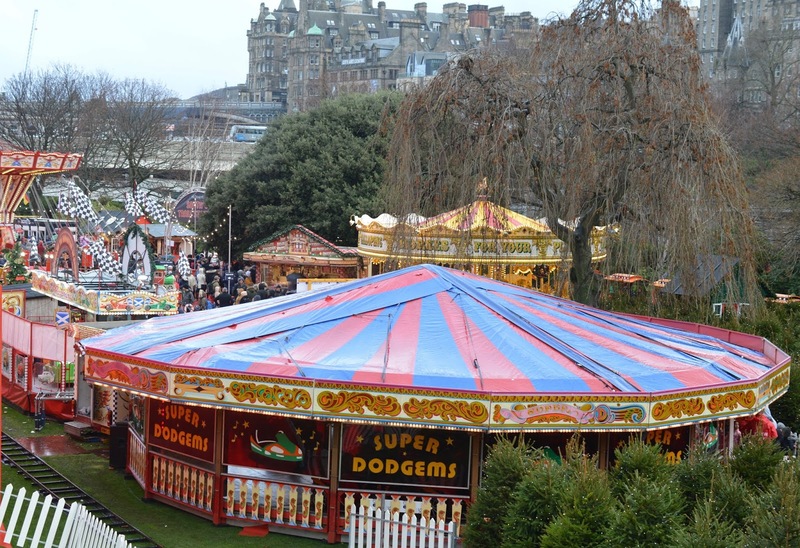 After scoping out the food stalls, we headed to Santaland which is located on the lower part of Princes Street Gardens. 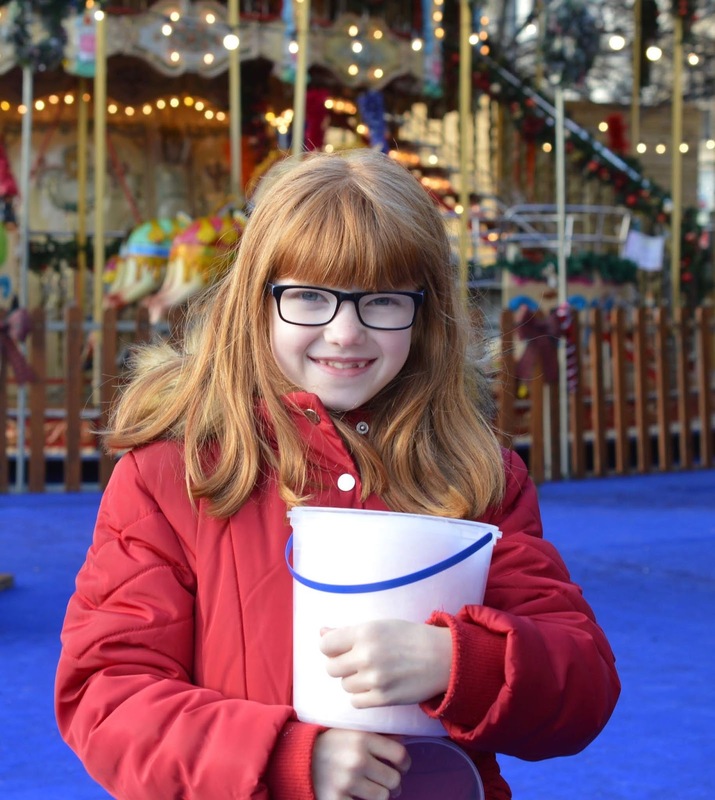 You can pre-book tickets for the rides here if you'd like to budget and plan ahead or buy on the day from one of the ticket booths. Santaland is accessible but the hill is pretty steep and I really felt for the parents with pushchairs as although achievable, it did look quite tricky navigating the crowds at times. If you have a choice, I'd probably leave the pushchair at home and use a carrier. 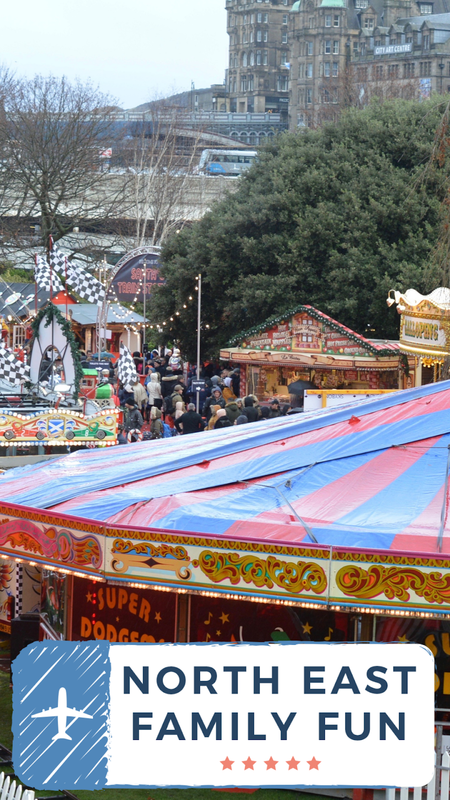 Rides at Santaland are priced between £3-£7.50 (you can check out what's on offer here). We decided to walk around and pick two rides each. 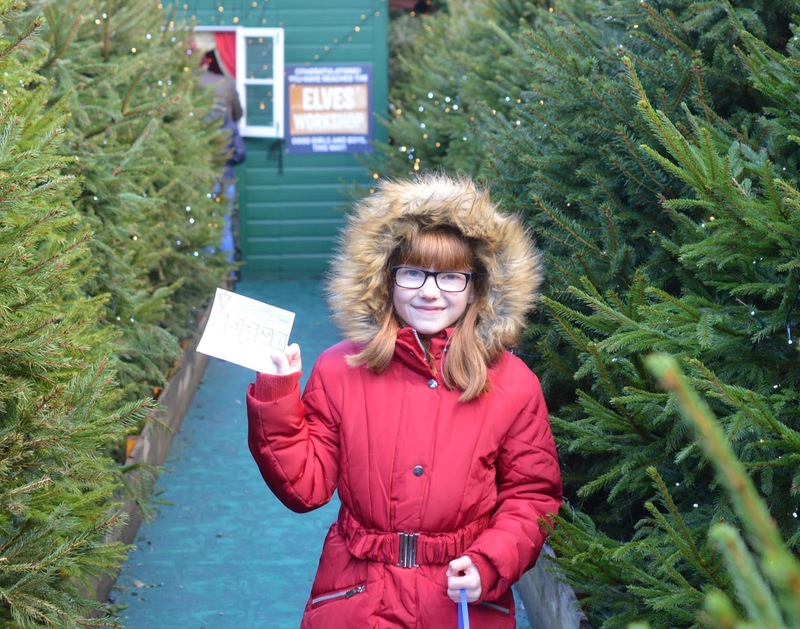 We completed the Christmas Tree Maze in a girls v boys challenge (which the girls won). Each team is given a card to complete and must rush around the maze to find 5 letters and stamp their card. The letters make up a word which you must share with the elf once you find your way out and you'll be rewarded with a bag of chocolate coins or haribos. Running around the trees (yes Heidi made me run!) with the twinkling lights, the beautiful scent of pine trees and Christmas songs playing was so much fun and very festive. 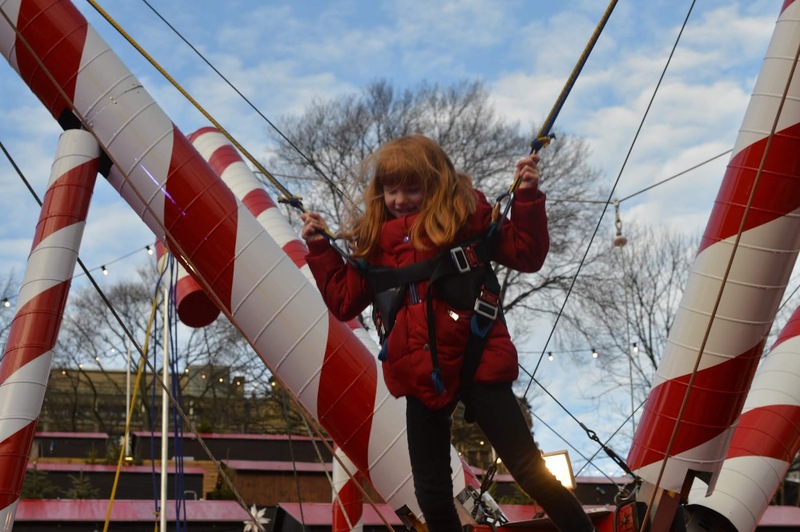 Next, the kids wanted to try the candy cane bungees (Steve and I spectated) which they absolutely loved. 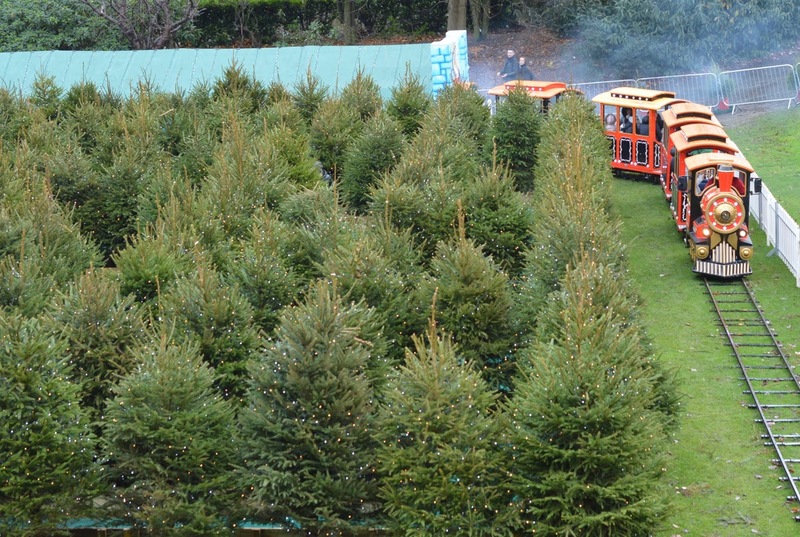 The queues for the rides in Santaland weren't too bad at all. 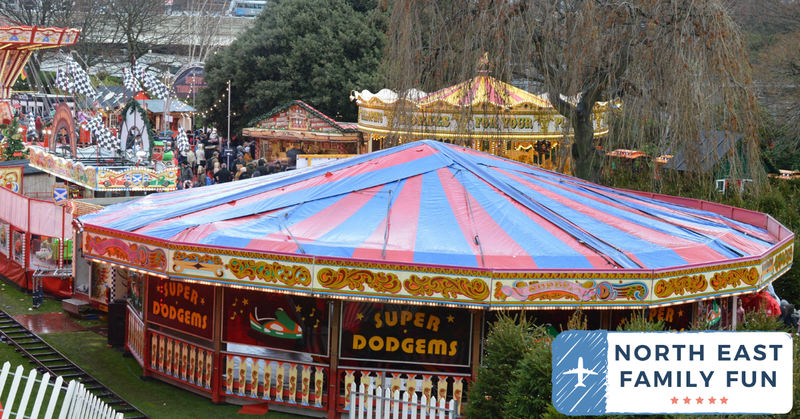 St Andrew's Square is just behind Prince's Street and a 2-minute walk from the main markets and Santaland. This is where you'll find the lovely outdoor ice rink and alpine bar. I would definitely recommend pre-booking this activity online as it had sold out when we arrived. Steve and Heidi loved whizzing around on the ice (they are real pros) as I enjoyed a hot chocolate with the boys. 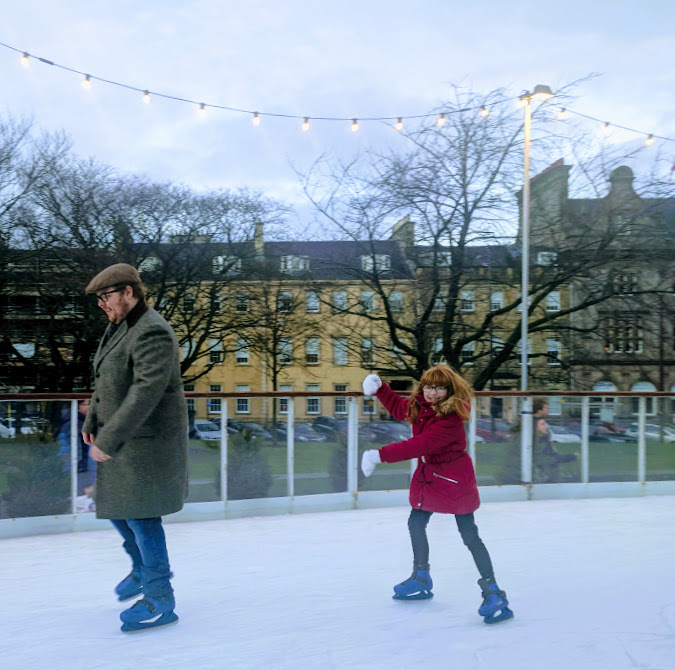 This ice rink is very well organised with staff who are on the ball and helping out straight away if there are any falls and you can hire a range of penguins or polar bears for kids to push around or sit on if needed. St Andrew's Square is right next to George Street which is where you'll find some of Edinburgh's fanciest hotels and buildings (including the magnificent dome). It's definitely worth walking along this street and if you have time, you could even book Silent Light which is a light show/silent disco held at the top of the street. We did book to do this but by 4pm Jack was starting to get very whingy and tired so we decided to head home instead. I guess the beauty of driving is that you can leave when you are ready. 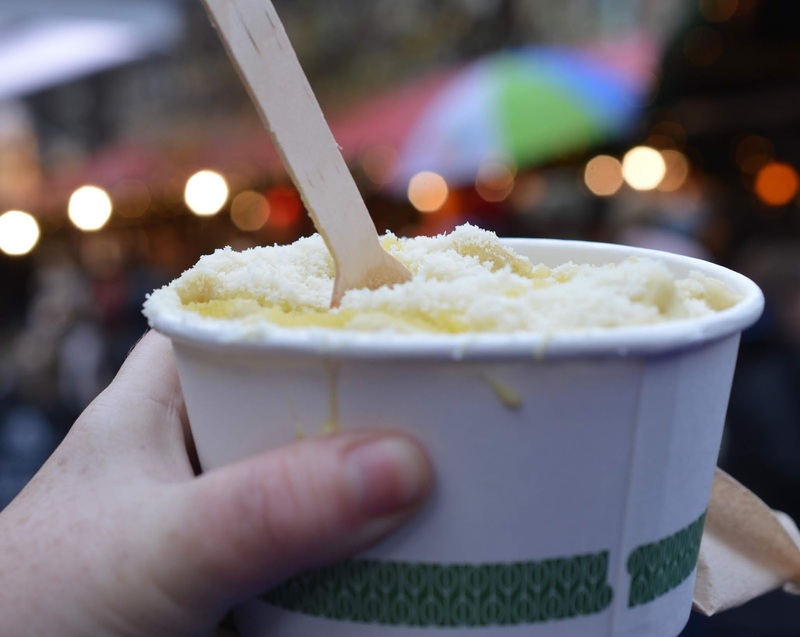 The main Edinburgh Christmas markets on Princes Street are quite literally foodie heaven. 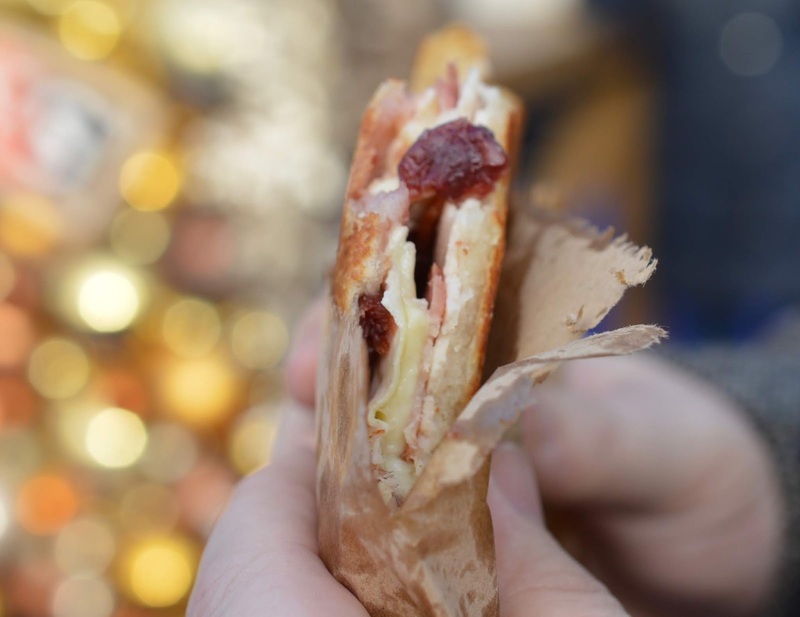 Most of the food (pancakes excluded) purchased is pretty easy to eat on the go. 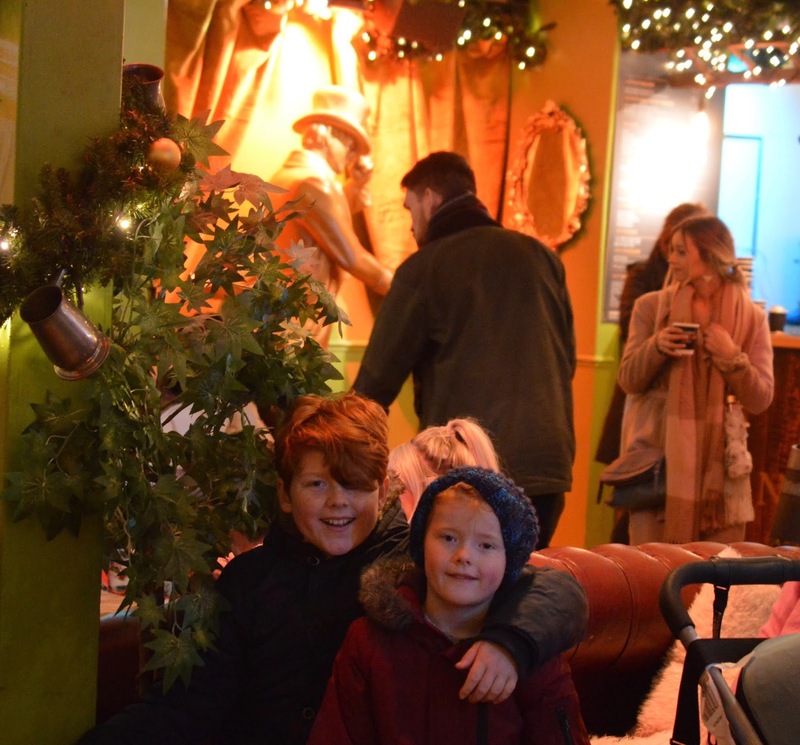 As a family, we tried the most luxurious Mac & Cheese with parmesan and truffle oil (£6), Nutella crepes (£3), Fish and Chips (£8.50), Candyfloss (£4.50), a festive toastie (£6) and a Pretzel (£3). All of the food was of high quality and the traders were all super friendly. 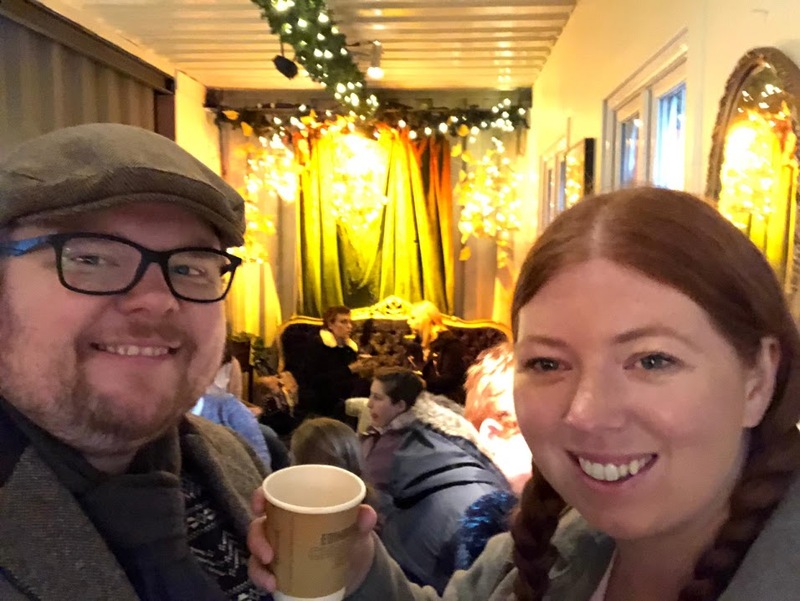 We also popped into the Jonnie Walker Bothy Bar during a spell of rain which was a lovely festive place to shelter and pretty reasonable too. 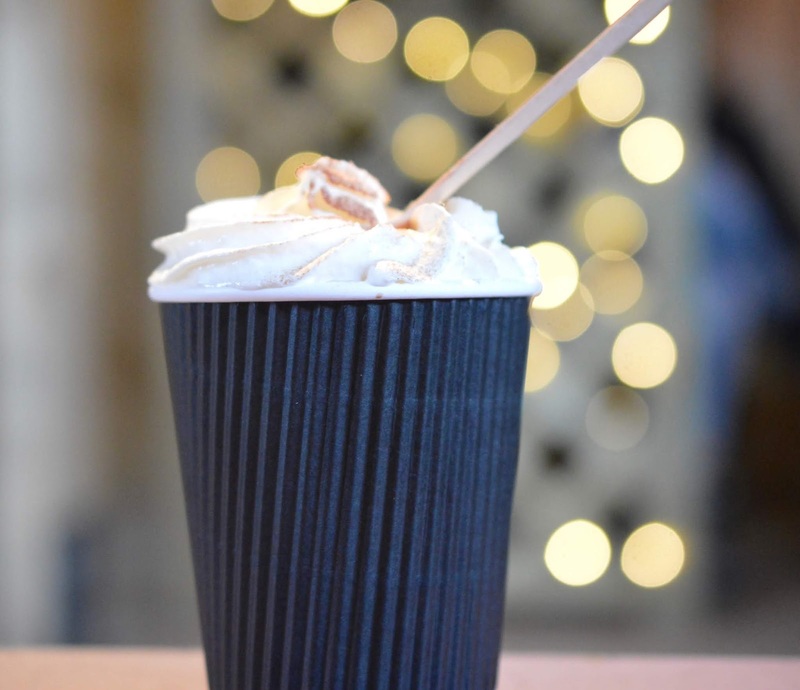 A Jonnie Walker Hot Toddie (for the non-driver) and 4 soft drinks was just £13. The only issue with eating at the markets is that there's not anywhere to sit which if you're visiting with kids, isn't really ideal. I'd probably recommend buying a few snacks from the markets and booking a restaurant for a festive meal so everyone can have a sit down and a bit of a rest. Jack doesn't take well to spending hours on his feet and we tried to find a coffee shop for a quick drink and sit down with no luck as everywhere was just so busy. If I was to visit again, I'd probably book a late lunch in The Grill at The Dome. This room is the most beautiful setting and although expensive, it's worth it for a special treat I think. 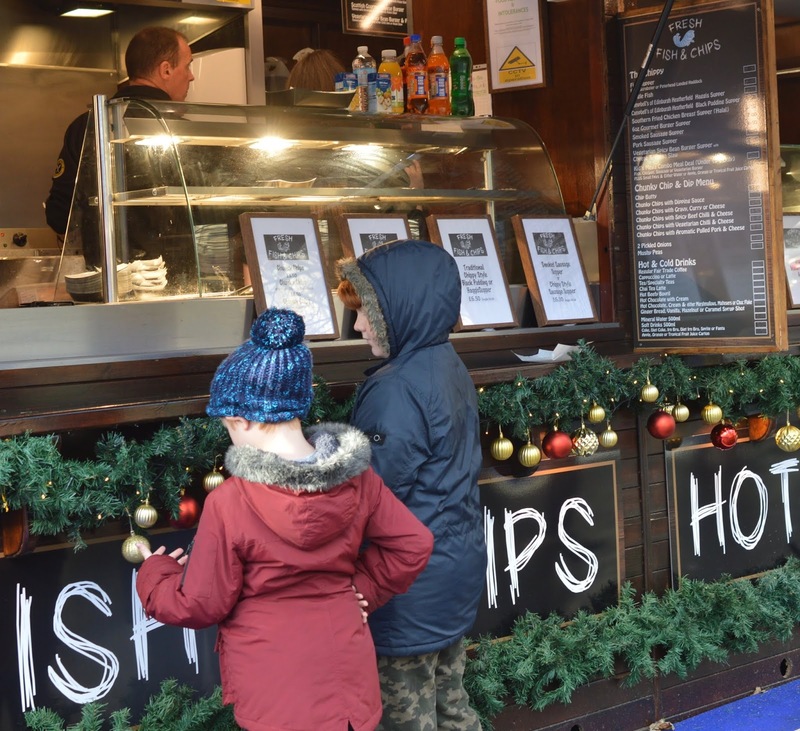 Other family-friendly options around the Christmas Markets include Wahaca and the Hard Rock Cafe. It's pretty guaranteed that you're going to be driving home in the dark. I packed a Christmas blanket for the kids and crossed my fingers that they'd go to sleep (they didn't). One of my Instagram followers messaged me to say that the traffic was gridlocked on the A1 near the Bamburgh turn off due to an accident so we decided to take the coastal route home (follow the brown 'coastal route' signs). I am so pleased we did this as the Chistmas lights in Bamburgh and Seahouses were so pretty and worth a detour. You could even stop off at one of Northumberland's fabulous pubs for dinner along the way. 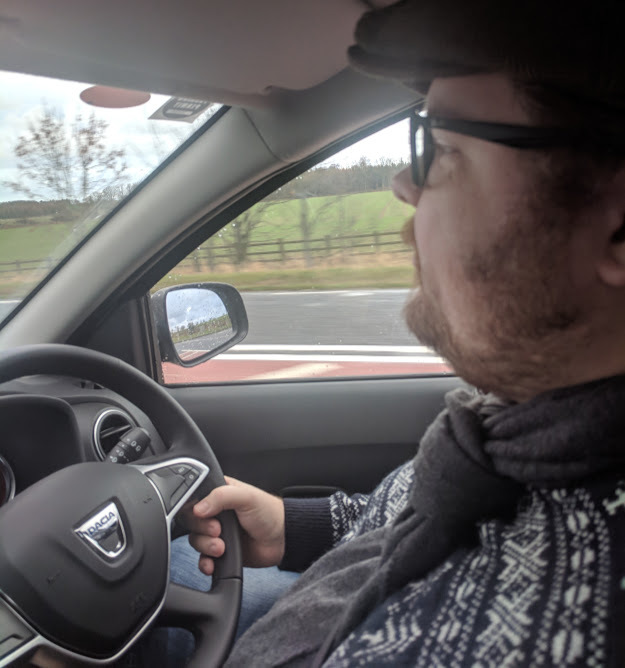 This route did add 30 minutes onto our journey time but was a much better option than sitting in a traffic jam for goodness knows how long on the A1. 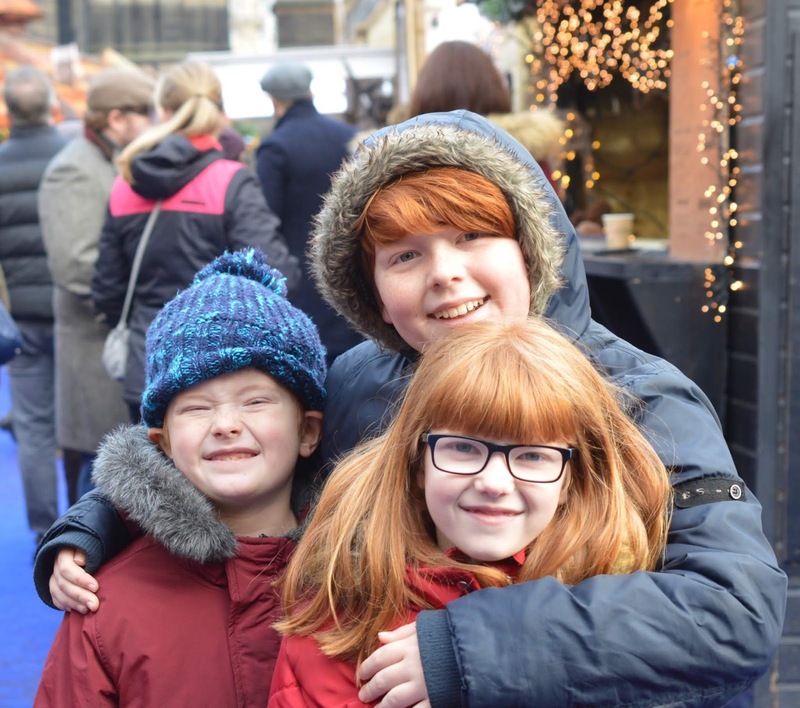 I'd definitely recommend visiting a Christmas Market with kids. We all had such a lovely day and are all feeling super festive now. Let me know your favourite European markets to visit and if you have any top tips for visiting with kids. This looks lovely. The maze, in particular, is a really nice touch. I'll be following your lead and packing a Christmas blanket on future trips - such a good idea. ANd how nice of your follower to warn you about the traffic! Ahhh it is so beautiful! 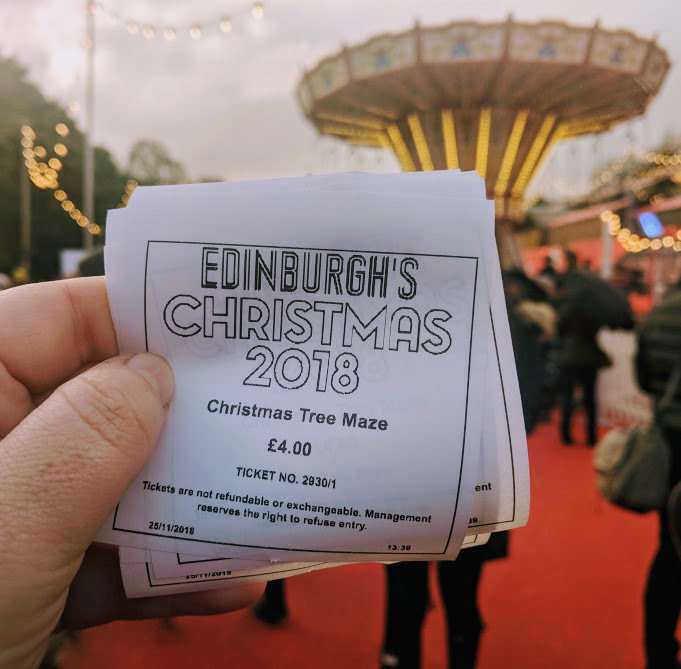 It's easily been 10 years since I last visited Edinburgh at Christmas so I'm really hoping to get myself organised and go next year! Edinburgh markets look fantastic! And I love how close you are. Good tip to check that your vehicle is winter-ready. This time of year can be so unpredictable! Gosh it is stunning, love the blanket tip! I am always surprised at how close Edinburgh is to you. Oh, I love Edinburgh! I went to university there but I haven't been back for the longest time. Your post has made me realise I really need to organise a return trip. Oh I've wanted to go to Edinburgh for ages and even more now! 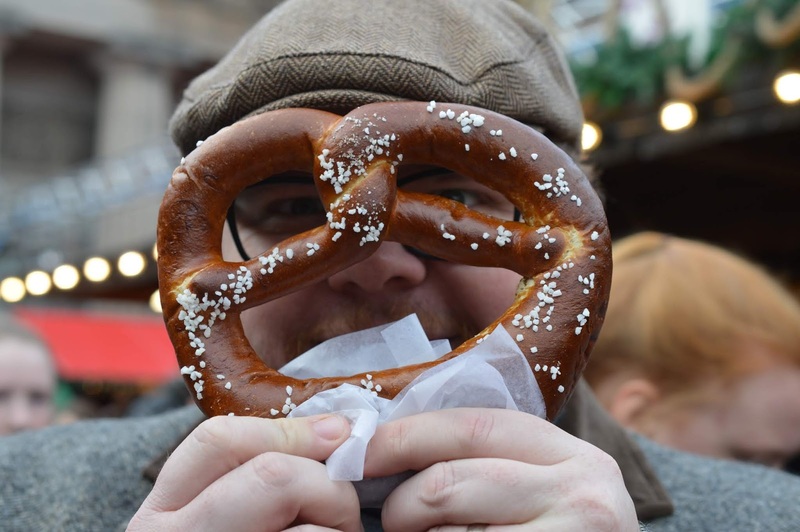 It looks so lovely - and that pretzel?? You've also made me feel very festive now! 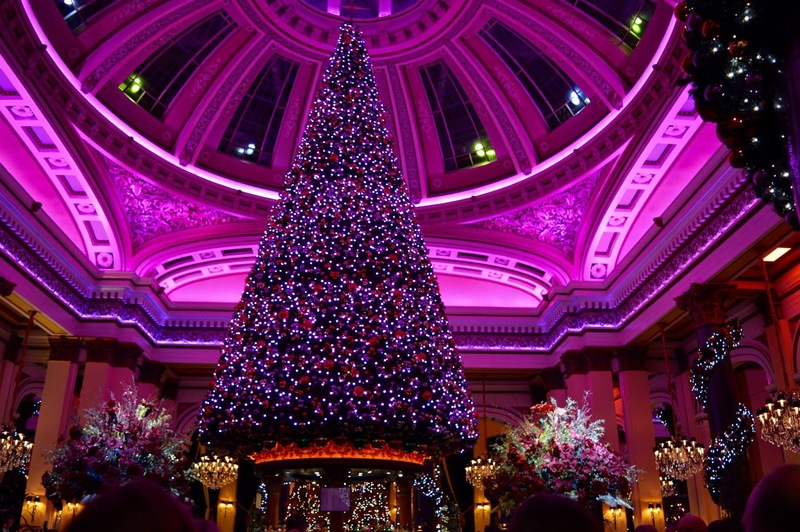 I think we'll be doing a UK Christmas market this year too - Edinburgh looks amazing but perhaps a tad far for us! Some great tips for anyone taking it on though, especially if they're driving. I have wanted to visit Edinburgh for the longest time! 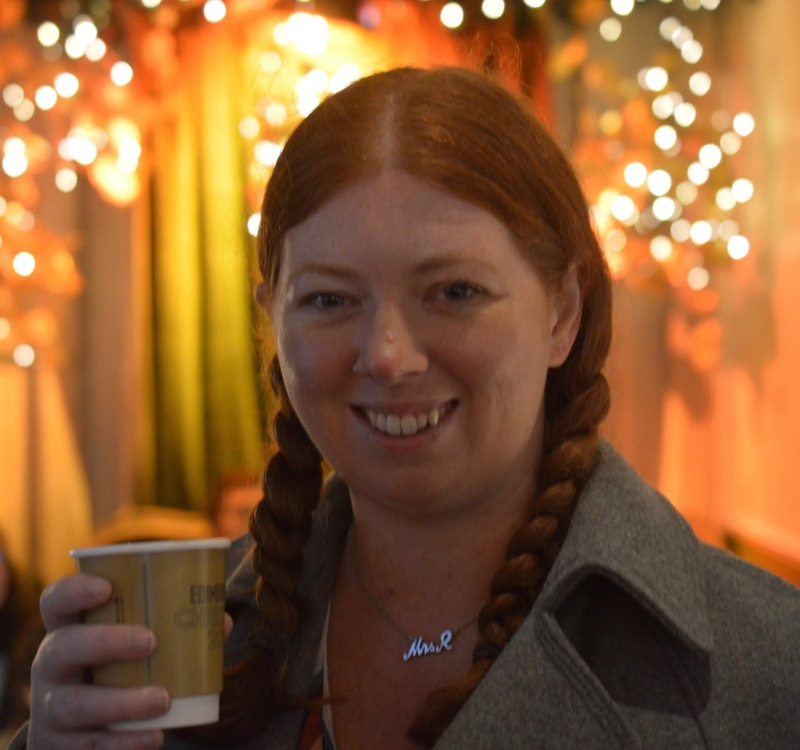 I didn't know they had Christmas markets there - I've never been to one of those either. It looks and sounds brilliant. I think I might need to add this to the list of places to visit for next year.